Grow your people & profit with a Professional Keynote Speech. Reenergise your team. Spark innovation. Transform your culture. I believe in the power that events hold and how they can become a strategic tool. Whether you are organising your first internal management event or if you are an experienced event organiser, I sincerely appreciate the time you have taken to read the content on this site. The focused of my work, and this site, is on making your event into the best Strategic Tool by using the power of a Professional Keynote Speech so you can grow your people & profit. Check out my Blog and Downloads for ideas on how to optimise your event or contact me directly to book an outstanding Keynote Speech. I look forward to meeting you on or off stage. 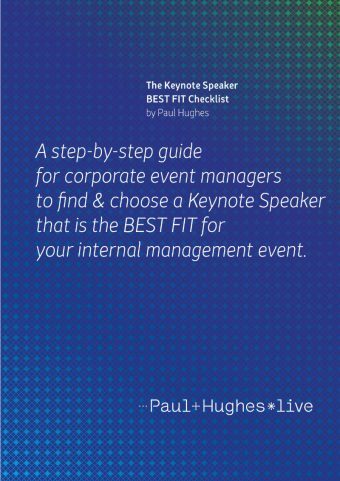 A step-by-step guide for corporate event managers to find & choose a Keynote Speaker that is the BEST FIT for your internal management event. 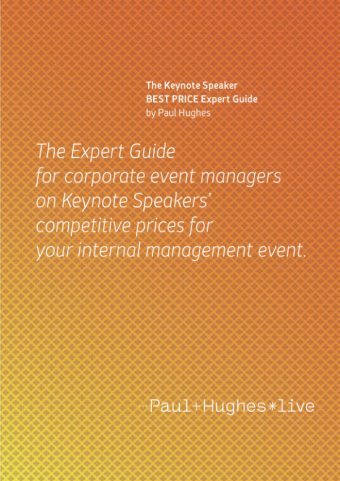 The Expert Guide for corporate event managers on Keynote Speakers’ competitive prices for your internal management event. 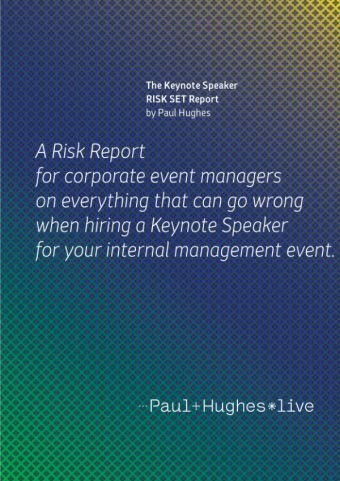 A Risk Report for corporate event managers on everything that can go wrong when hiring a Keynote Speaker for your internal management event. Fill in your name, email & phone and one of our team will call you back shortly.